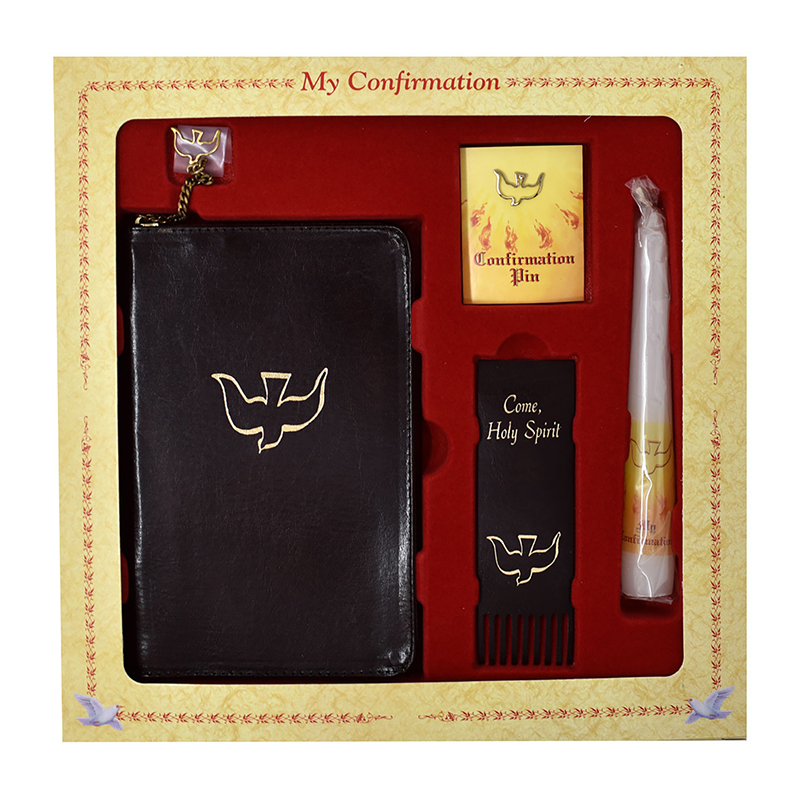 Each set contains a St. Joseph Confirmation Book, beautifully bound in gold-stamped, burgundy bonded leather with a zipper closure and golden dove pull, a matching gold-stamped leather bookmark, candle and golden dove keepsake pin to commemorate this very important Rite of Initiation. Illustrated in two colors and printed in large type. This keepsake volume includes the Confirmation rite, prayers, instructions, and readings from the Gospel.